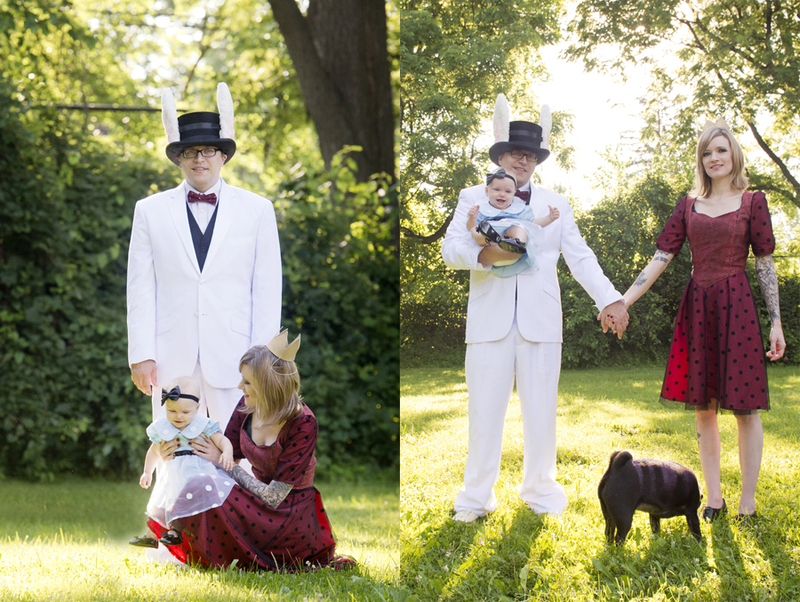 I met Kelly and her husband Martin when I first moved to Ann Arbor (we even had a photo shoot back then!) They were engaged at the time but now they are a family of three! It's pretty clear, baby Alice is so loved. When her mother Kelly emailed saying she wanted to shoot an Alice in Wonderland inspired set of photos, I was more than excited. Kelly, a fashion designer, had every detail worked out, she even had a groomer paint their pug Suz to resemble the Cheshire cat! We meet up on a recent humid July morning at a park near their home to take some fun summer photos.